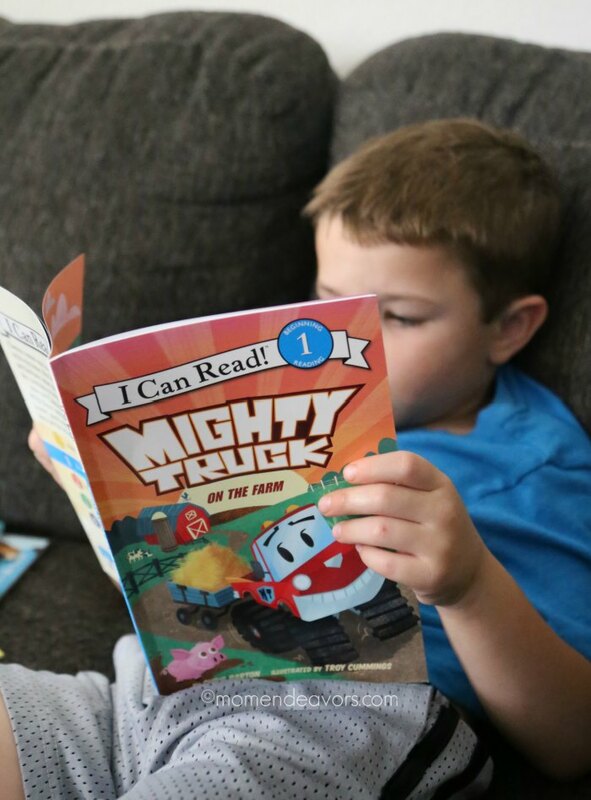 Help your beginning readers develop a love of reading with I Can Read! 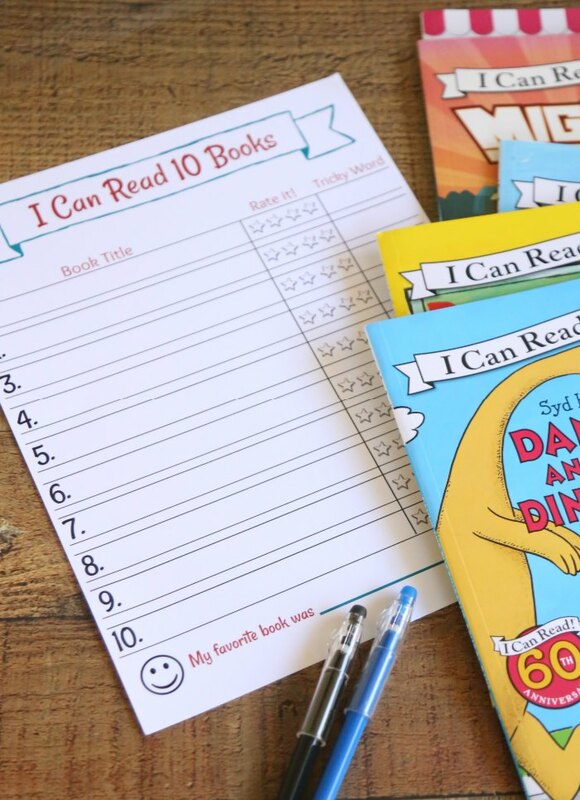 books and track their progress with this printable “I Can Read 10 Books” reading log (be sure to check out the fun giveaway at the end too). Thanks to HarperCollins for sponsoring this post! Anyone else have a little one entering Kindergarten or 1st grade this year?! We do…for the last time (sniffle). Baby Brother is going to be a 1st grader!!! Ahhhh! I can’t believe it! He learned so much in Kindergarten and we’ve been continuing to develop those beginning reading skills over the summer with reading time! The I Can Read! 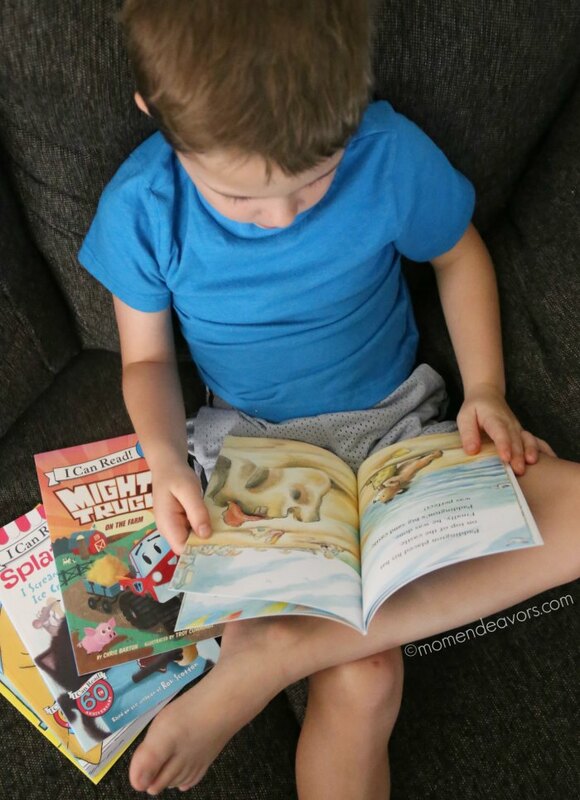 early reader series books are perfect for having at home for your beginning readers! Not only are the book organized into color-coded levels, but there are hundreds of titles with some of the most beloved characters in children’s literature! Here’s some Level 1 books that Baby Brother is enjoying: They’re all so cute and Baby Brother loves them! 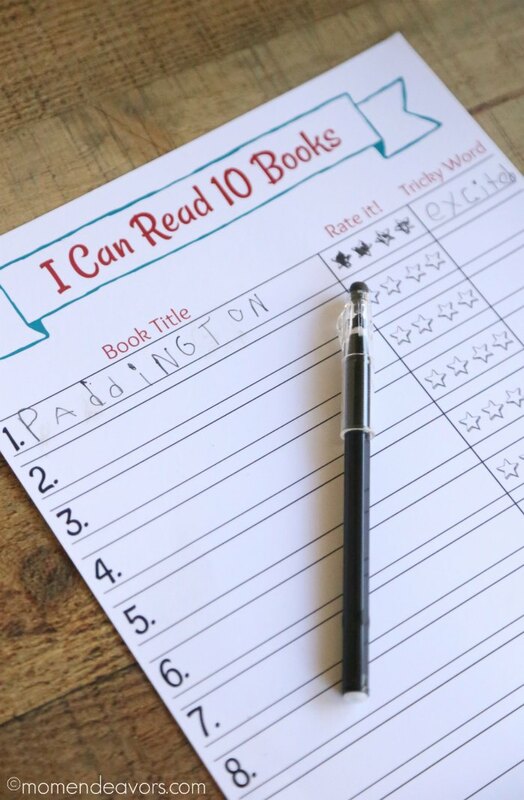 So, I decided to make him his very own “I Can Read 10 Books” reading log to print out here at home. The chart is a great visual for him to see that he is reading books! I love the addition of having him pick a “tricky word” from the book – any word that he thought was harder, he needed extra help with, etc. That word list should be a great vocabulary builder as we fill out the chart. And he loves coloring in the star ratings! For best results, I recommend printing on the highest quality/photo setting on a slightly heavier paper (like brochure paper or light card stock). Once printed, you can hang the chart somewhere that your kiddos will see. 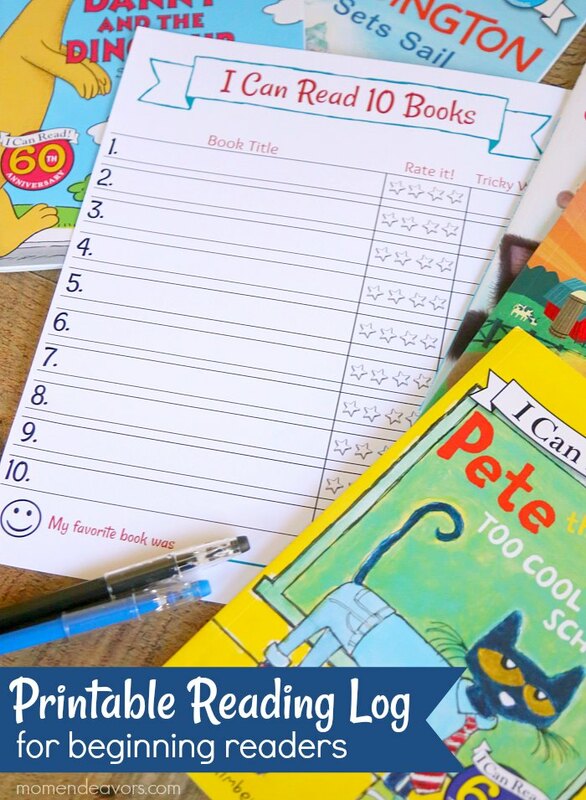 Every time they finish a book, you can have them fill out their chart! If you’d like, you could even make it a reward chart where they get a prize after completing their chart! Baby Brother was keen to read Paddington Sets Sail. I did have to help him through some of it. But once we were done, I had him fill out his chart. You can see we still need to work on some writing skills (since he couldn’t get the full title in there). But since it’s for fun here at home, I didn’t press the issue! 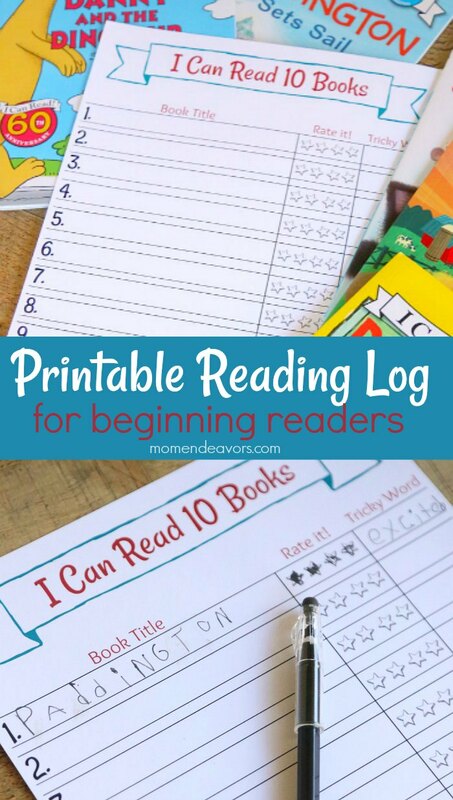 It’s an easy way to help focus on reading at home! So, pick out some I Can Read! book series and download the reading chart above. You can learn even more about the I Can Read! series by watching this YouTube video here! They’re definitely books that can help get your early readers excited about reading!! And to help…we have a fun GIVEAWAY for you, perfect for back-to-school! 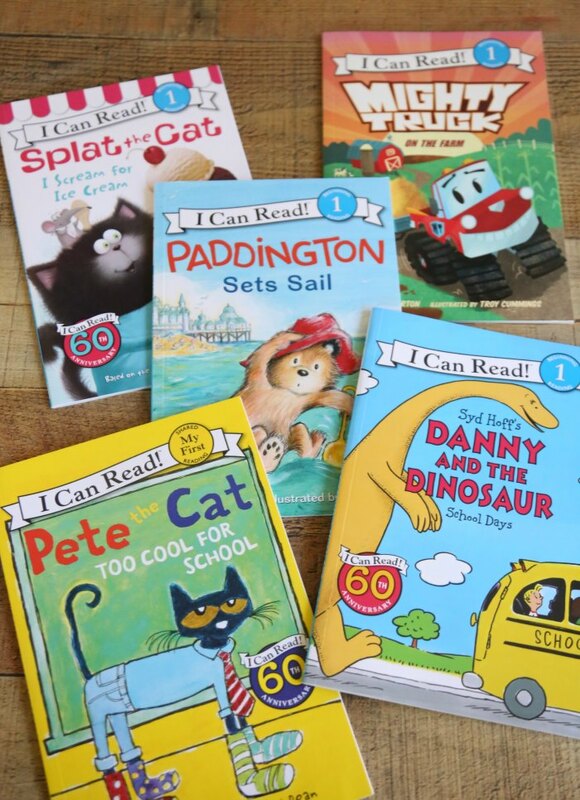 Just in time for back-to-school, One (1) lucky Mom Endeavors reader will receive an assortment of 5 I Can Read! books along with a State Bags Backpack!! How fun is that?! Enter the giveaway using the widget below. Giveaway runs through August 8, 2018 and is open to US mailing addresses only (ages 18+). GOOD LUCK! We inspire a love of reading from introducing reading at a young age. We spend a lot of time at our local library, read ourselves for enjoyment, and read with them. My favorite children’s book is Green Eggs and Ham.